A family-owned business, the Burger Boat serves boats and the surrounding Cayuga Lake community. Prior to setting sail, the Burger Boat needed a logo. The owners had very specific ideas about the design and what the logo needed to convey to customers. They wanted the first ever logo to establish awareness and recognition of The Burger Boat brand within the Finger Lakes region. 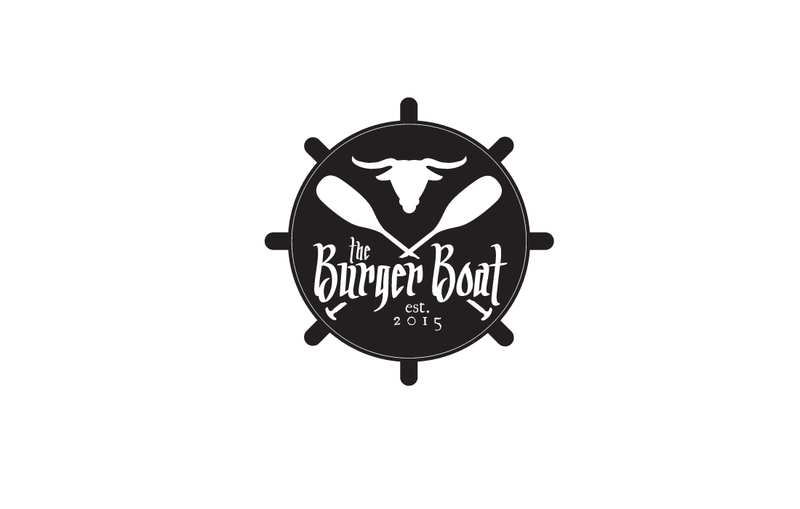 The Burger Boat logo represents boating with the boat’s wheel outline and crossed oars. The bullhead silhouette signifies their signature grass-fed beef burgers. The logo is both recognizable and distinctive with bold style and fun font.